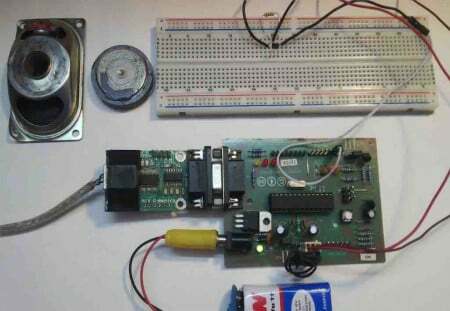 Use a Hall effect sensor to detect the presence of a magnet and make a speedometer, a burglar alarm, and more! Have you ever wanted to make a project that involved contactless sensing, for example, to detect a door closing, count the number of revolutions of a wheel, or make a speedometer? 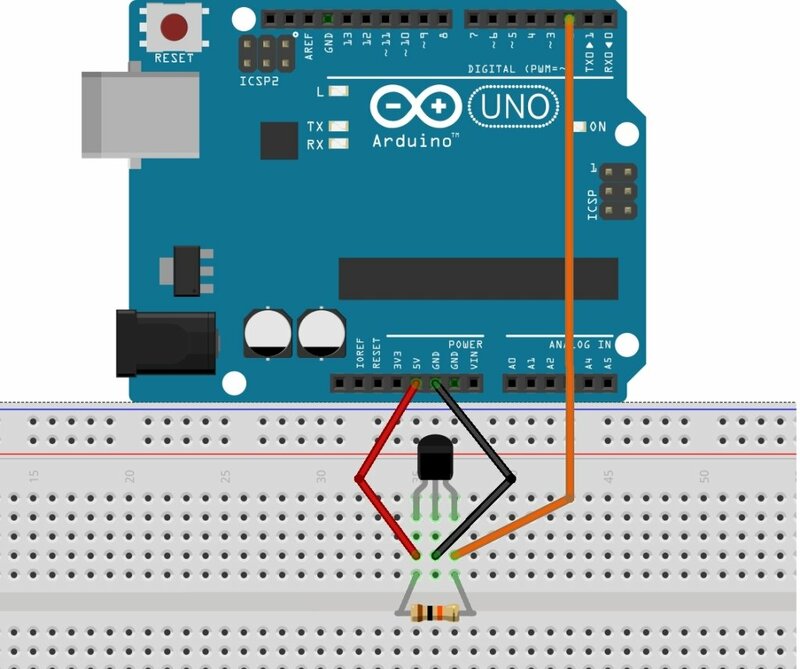 Then this Arduino Hall effect sensor tutorial is for you! This project uses a Hall effect sensor to detect the presence of a magnet. Whenever a magnet moves past this sensor, it can detect it. This sensor can be used to do a lot of different things. For instance, if we need to detect a door closing; then we simply have to attach a magnet to the door and a hall sensor to the frame of the door. Whenever the door closes, the magnet is placed near the hall effect sensor and we are able to detect that the door has been closed. Similarly, this same principle can be used to make a speedometer for a bike or any other vehicle. If a magnet is attached to the wheel and a Hall Effect sensor is placed somewhere in the frame of the bike, the time taken for the wheel to complete one revolution can be measured, and with a bit more math, we can detect the bike's movement speed! The Hall effect sensor works on the principle of the Hall effect, which states that whenever a magnetic field is applied in a direction perpendicular to the flow of electric current in a conductor, a potential difference is induced. This voltage can be used to detect whether the sensor is in the proximity of a magnet or not. The Arduino can detect this voltage change through its interrupt pin and determine whether the magnet is near the sensor or not. 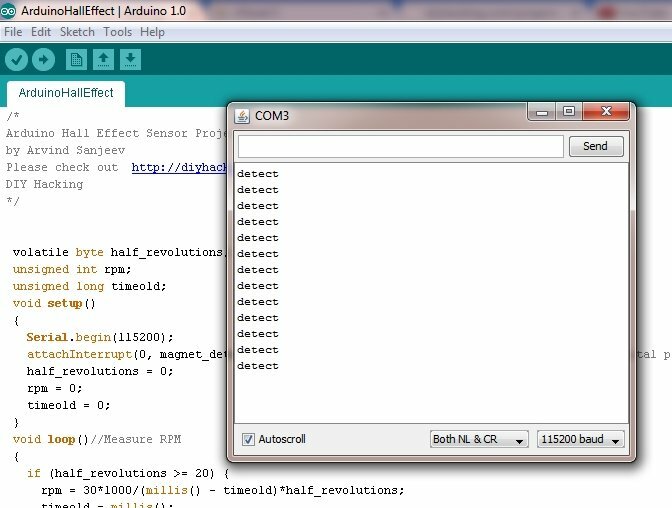 The basic working of the Arduino Hall effect sensor is shown in the picture below. There are many types of Hall effect sensors, and certain types are better for certain applications. For applications where the speed of detection is not crucial, ordinary Hall effect sensors like 44E can be used. However, for applications that involve high-speed detection, like in the case of speedometers, high-frequency Hall effect sensors like US5881 or US1881 should be used. There are two main types of Hall effect sensors: latching and non-latching. The US1881 is a latching Hall effect sensor. The sensor gives out an output HIGH (5V) voltage whenever the north pole of a magnet is brought close to it. Even when the magnet is removed, the sensor still outputs a HIGH voltage and does not go LOW (0V) until the south pole of the magnet is brought close to it. These sensors that latch on to a particular state are called latched Hall effect sensors. The US5881 is a non-latching Hall effect sensor. The sensor gives an output HIGH voltage whenever the north pole of a magnet is brought close to it, and switches LOW whenever the magnet is removed. I personally prefer non-latching Hall effect sensors like the US5881 for my projects. After you finish hooking up the Hall effect sensor to your Arduino, you need to upload the code to the board and test it. 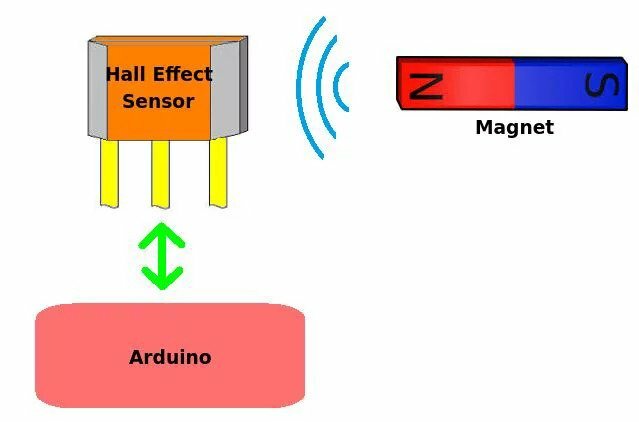 The Arduino Hall effect sensor code can be used to detect a magnet and count the number of times it detects it. 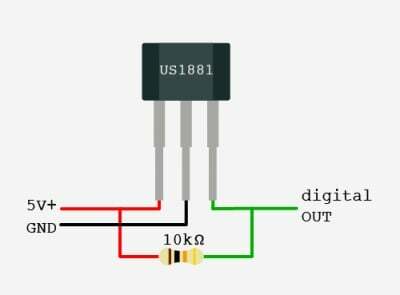 This is a very simple Arduino code that utilizes the interrupt pin 0 (digital pin 2) of the Arduino. Whenever the Hall effect sensor detects a magnet, it outputs a HIGH (5V) voltage to its Vout pin. The interrupt pin of the Arduino that is connected to Vout detects this rising (HIGH) voltage through the function: magnet_detect. The serial monitor prints "detect" whenever a magnet is brought close to the sensor. In order to show the applications of this project, I have installed the sensor on my door frame. I have also attached a small magnet to my door. Thus, whenever my door closes, I can detect it. This can also be used as a burglar alarm system by hooking it up to some lights and sirens. Furthermore, you can also use this sensor to make a speedometer for your bike. A small magnet needs to be attached to your wheel and the Hall effect sensor can be attached to the frame of your bike. The number of rotations made by the wheel and the time taken doing it can be measured through the Hall effect sensor. And after performing some calculations on this data, you can show the speed of your bike in kmh or mph.